Because I had encountered a problem with my PC, I am still in a start up stage. Meaning, installing programs, toolbars, utilities, categorizing my recovered files, backing up, creating restore point, etc… and everything I need to work comfortably. I can’t remember when was the last time I formatted my PC because of a virus problem. My files had been intact for almost 10 years until that horrible experience. Yes, I upgraded my PC and even bought a new one but then, its not big deal since I have my files in my back up drive and all I need for installation; drivers, programs and utilities are all intact. I even have a complete list of links of important websites that I need in case I need support. Although, its really hard to start again because I have deadlines to cope up with, I am taking this time to share with you what I had learned from this experience. As I mentioned in my last post regarding hacker and virus attacks, backing up your files is very important. Yes, I also have a back-up drive for my files but what I learned now is that it’s not enough. Why? Backing up your file in USB drive or extra hard disk is not safe. Since it’s a rewritable storage device, it can be infected with a virus, worst, files can be deleted or modified. Important links, bookmarks and passwords are also important. You must have a back up copy of these because if you have many accounts, there is a tendency that you may forget those. But be sure to keep it in a very safe place or maybe encrypt it. What I did is that I created my own alphabet and numbers only known to me and my hub and I am using it when writing confidential files and passwords. You can do it by learning a Fontography program so you can upload your secret files and password without any fear that somebody might steal it. I included a search link for you for easy start. I have a document file of very important links that I need and categorized it according to their use. Say, IT Links, when I need to look for IT resources, Money online Links for earning purpose, Social Networking Links, Blog Links, Download Links for games, programs, patches, drivers and utilities etc.. you can also burn it in a CD and save it in yahoo bookmark, delicious, google bookmarks etc.. There are many websites offering a bookmarking service. Just google it to find what is suits you best or you may click here for Top 30 Bookmarking sites. Files can also be save in the internet in case you don’t have the necessary space. In fact you can also share your documents, files, photos and pictures. There are many Photo sharing sites for your pictures. Picasa, Flicker and Photo Bucket are just one of the many websites offering this service. WordPress is giving you 3gig photo space, one of the reason why I moved my blog here. I had a serious problem with my computer this week. Somebody is trying to hack my account. I am an IT literate, I am teaching and holding IT seminars for school and even private tutorials but these are all basics. I’ve been in IT world for almost a decade now but this week was the worst experience I ever had. Whenever I had virus threats, spyware, adware or worms and my anti-virus failed to resolve these issues, I simply format my PC and setup my hard disk drive and its done! I can start working again. But last Tuesday, Oct. 14, when I opened my PC, I noticed that something is wrong during the start up process as it’s very slow than usual. I thought it was just a registry issue, so I run my registry cleaner to fix it but it failed. 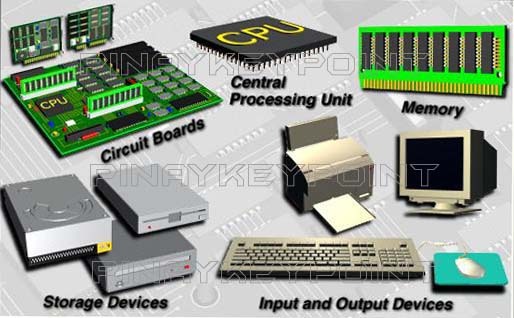 Your PC has many parts, input & output devices (monitor, keyboard & mouse), processor, motherboard, plug-in devices, storage devices and accessories. These are hardware. 1. 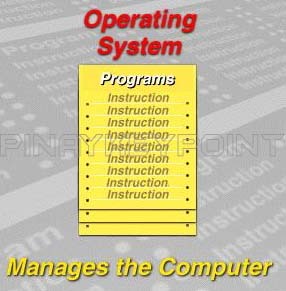 The Operating System (OS) which is either XP, Vista or linux. This OS controls and manages the operation of your hardware and application programs. 2. The Application Programs. These are office programs such as MS word, excel, powerpoint, drawing etc… in which you create and perform your tasks. These programs are stored in a storage device. 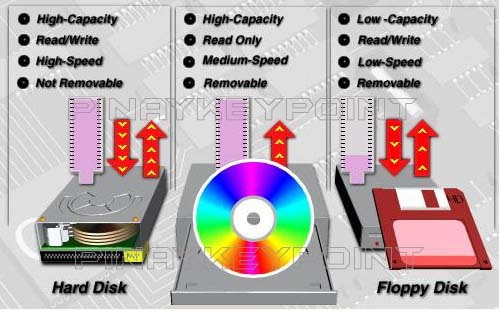 Storage devices comes in different forms, the hard disk drive, CD-rom and USB drives. So when you install these programs in your PC, it is saved in the hard disk drive (HDD). Once these data is saved, we call it FILES. There are 2 file types; the system files and the user files. On the other hand, Systems files are those files which has something to do with your PC operation. you can find it in drive C, at program files and windows folder. These can’t be modified as this will affect your PC’s performance. Some files and folders are usually hidden by the system itself to prevent newbie users from modifying it. Programs cannot be modified manually. It has its own updates and it will run and download updates depending on your preferences. When you want to get rid of a particular program because you want to acquire the space its is occupying, you never delete it manually but remove it using your control panel. Just go to you control panel folder and click add/remove program icon. It will show you all the programs installed in your PC. Just click it and it will be removed. The programs that we installed in our computers has setting configurations which are stored in your PC Registry. 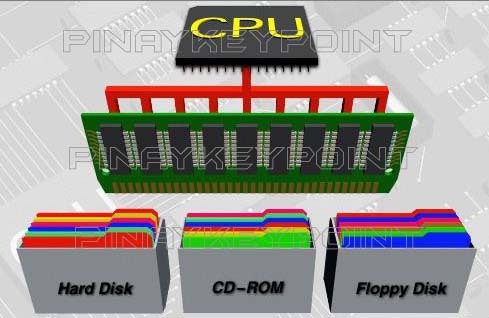 Programs has registry keys which controls the operation of your PC. Everytime you change your profile setting or change PC configurations, it is always saved at the PC registry. Have you experience installing a program but failed? or uninstall a program but unsuccessful as well? these unsuccessful installations left marks and traces in your registry file. Even when you removed virus and adwares, it also left its marks and trace in your registry. Over the years, especially when you failed or never defragment your PC and you continue to install and uninstall programs, the invalid registry keys and outdated files in your registry increases and these will flood the system causing it to slow down. But don’t worry, these issues are usually resolved by using a registry cleaner. 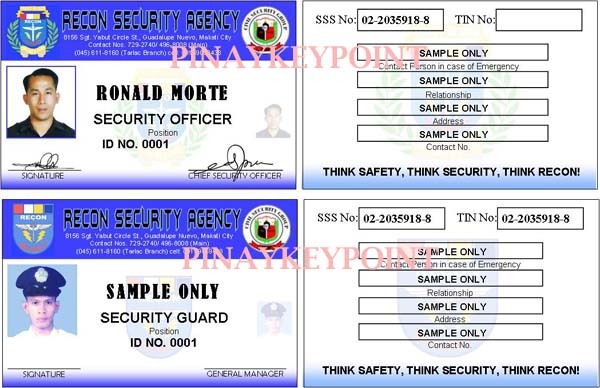 You can avail of a free online registry scan at reliable websites like Microsoft or you can google and read reviews of the best online registry scanner and cleaning software. In fact, as the day is progressing, my PC is becoming more and more sluggish and windows are popping and programs are automatically opening and closing. Dialog boxes are opening too and flooding my desktop. I am running after my deadline so it really bothers me and I really need to fix it immediately or else, I’ll lost my clients and employers! Since my anti virus and registry cleaner does not fix the issue, I tried online full scan in at least 3 reliable sites, Microsoft, Kaspersky and Panda. But these process failed as well. What I did was I removed all the attached slave disk and started formatting and setup. After setup, I expect or anyone would expect that the virus is gone, well its the normal outcome at least. But in my case it’s not. I just used my PC for 2 hours but when I connect to the internet, the same thing happen. My start button was opening automatically and a lot of dialog box is appearing. I don’t know what’s the cause so I downloaded YM to ask for friends’ advice. Those thoughts made me check my accounts; paypal, odesk, emails etc… But it’s still safe for now at least. I went to my relative’s PC and changed all my passwords using their computers. If somebody is hacking me, using another IP address to change my passwords will be the best thing to do so he can’t track any changes. I spent 2 days researching and reading reviews for reliable firewall programs and latest virus threats. I purchased a new reliable anti virus for security measure and firewalled my PC. . When I attached my back up drive to check my files, I almost fell in my chair… My files were all gone! My back up drive is empty. Free! My 50 gig files were nowhere to be found! I thought I’d die at that moment. The articles which are due the following day, My clients designs, web designs, ID pictures, ID designs…. 10 years files… All of the pics, family gatherings, videos of different events, my serials, installers…My daughter was so worried as she has so many files and researched reports in that drive. Those are all gone in a blink! I can’t believe it. Those were very important. It’s where I am earning a living. But I don’t believe I lost those files in an instant. Formatting even takes hours to erase all its contents. How can a 50 gig files be erased in a blink? I spent the whole day researching for file recovery. And with the help from reliable friends, especially to Mike, thank you Sparkman, you really rock! I was able to recover 80% of my files. Yes, 80%. Well that’s fine for me, documents, designs, images and videos are my priority. Recovery programs has options only for document, images, zip files and videos. so I was not able to recover my installers, but l was able to recover my serials so at least, I can still download it online. Whew! That was a great lesson! I felt 5 years has been added to my age. I was so tired but relieved. And to you, whoever you are who’s trying to hack me, sorry to disappoint you but YOU FAILED.. Yes, you may have succeeded to interrupt my activity but I am thankful, you know why, this made me more wiser and cautious. You taught me to learn more. Thanks, I learned a lot this week. The lesson here is that we must be very cautious and protect our files. I started to burn my files in high quality CDs in duplicates and keep it in different categories. This way, I wont worry if the same thing happened again. I learned that when you empty your recycle bin, or if you accidentally delete files in your flash or USB, drives, you can still recover it. So my dear readers, protect your files before the same thing happen to you. This is a very long post indeed but I had to write it down so I can warn you and at least give you an idea of what to do in case the same thing happen to you. Just ping me if you need some particular name of the programs I used as I dont want to display it here coz it would look like an advertisement.